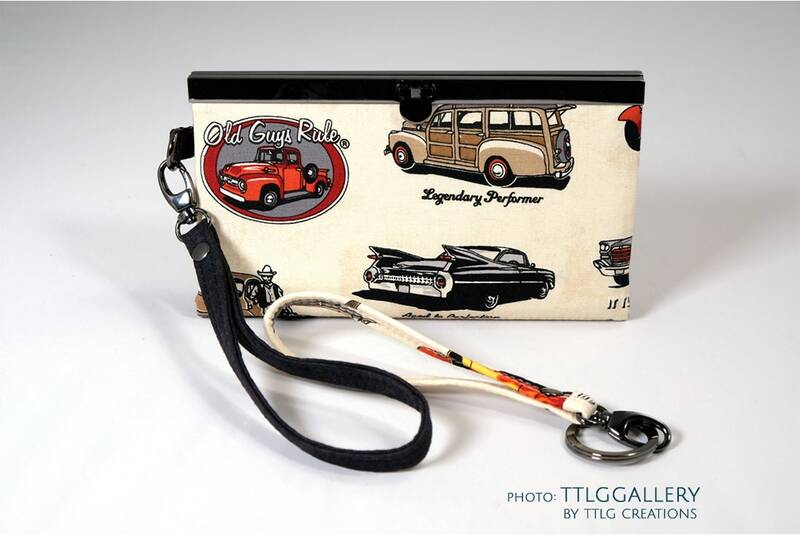 For those who bleed oil, here's a Diva wallet featuring vintage North American-made vehicles on a creamy vanilla background, and spiced with just the right amount of double-entendres! A must for any gearhead. Does it take long to get a custom-made wallet? Every wallet is hand made by me (Jane), including sourcing the material and hardware necessary to realise your design vision. Then your order is carefully built to ensure many years of satisfaction. Based upon the availability of fabric patterns to meet your design goals, I can provide you with a fairly reasonable estimation of when you will receive your custom creation. Please contact me to discuss your ideas and approximate build time. And let me know if one or more custom wallets is required for a special occasion -- I will try to ensure you have your wallet in time. Can you repurpose an existing fabric? Absolutely, as long as the condition of the fabric is sound. No. 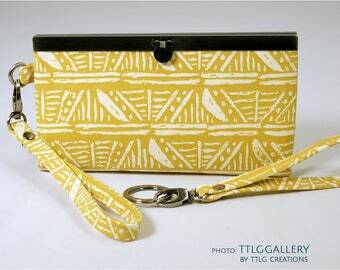 Since every one of my wallets is a custom hand-made item, all sales are final. But I do want you to be happy, and that means no surprises. So if you ask, I can provide you with photos of the fabric selected for your custom order wallet based upon your design criteria. Then, if something looks amiss or you don't like a pattern or combination, we can work together to change it. And I can even provide you with photos of your wallet during the build stage if you want that, too. And I give every wallet a through quality assurance review to make sure I love it. Because I can't expect you to if I don't.